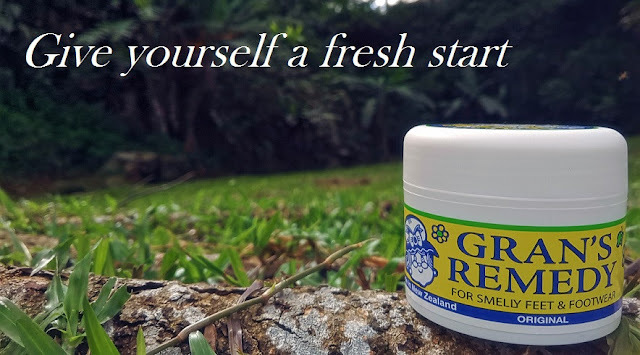 Thanks Michelle for sending the product over and it is a privilege to try on Gran's Remedy. Gran's Remedy is manufactured in New Zealand and exported worldwide to countries such as the Australia; Japan; Korea; UK; USA; and parts of Asia & Europe. 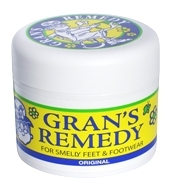 In New Zealand Gran's Remedy Foot Powder has been the market leader in its category for many years. 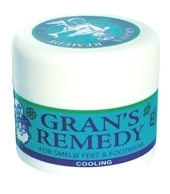 Gran's Remedy for Smelly Feet and Footwear is a unique blend of powders that treats the problem of smelly feet or foot odour, rather than masking it. Usage is pretty simple as you can just sprinkle a spoonful (spoon included in the bottle) of Gran's Remedy into the footwear you use each day and night, for seven consecutive days or until the powder is used up. Alternatively, you may also apply directly to your feet provided that there are no open wounds. The main thing that feeds foot odour is sweat. With more than 250,000 sweat glands each, your feet are one of the parts of the body that perspire most. In one day, each foot can produce more than a pint of sweat! Sweat is basically just salt and water, so it doesn't have a distinctive smell. The smell is actually caused by bacteria on our skin that feed on the sweat, and excrete waste, which has a strong odour. Wearing the same pair of shoes every day means that sweat builds up inside the shoes. This keeps the shoes moist, contributing to the production of excessive perspiration, bacterial growth and often, an unpleasant smell. If your footwear is left to dry for a few days, the smell usually fades away. But once you put the footwear on again, the warmth returns and so does the bad smell. Independent research has shown that Gran's Remedy is 100% effective for actively treating all five of the bacteria and fungi known to cause smelly feet and footwear. 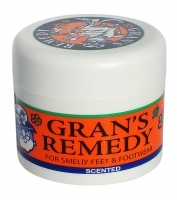 Gran's Remedy treats the feet and shoes at the same time. Any 2 variant at a great price! 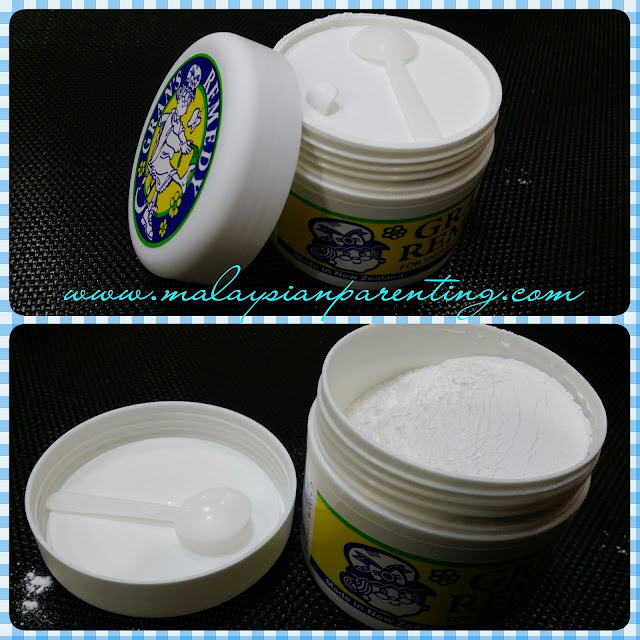 Gran's Remedy Cooling, Original and Scented Foot Powder is sold individually at Rm59 promotional price. If you would like to order Any 2 variant at a great price of RM109 promotional price. What's best is they have a Money-Back-Guarantee offer that comes with every bottle. Hence, it's worth to give it try as there is no lose. 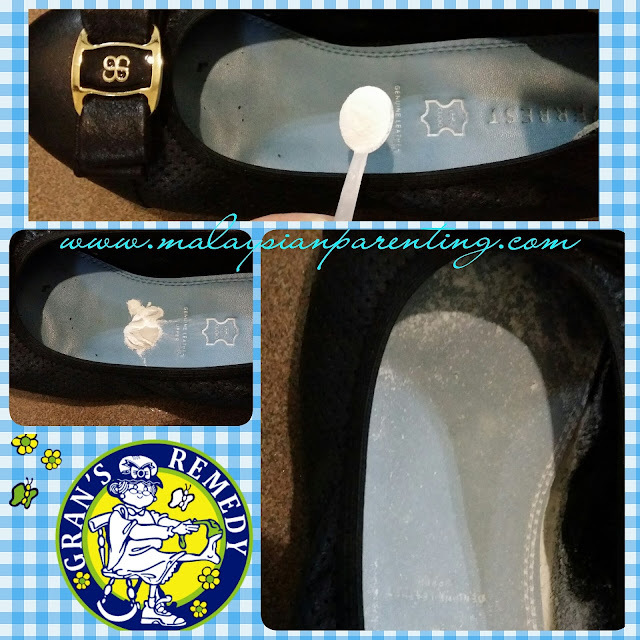 - there is no longer sticky feel inside of the shoe as most of the time after one whole day your feet will sweat. If the feet is not kept dry, there is when fungal infection and smelly feet comes about. - powder are of no smell and only 1 small scoop needed. - recommended as it's a problem solving for smelly shoe definitely and best is still money back guarantee.